The Classical Tour of Thrace is a tailored historical tour of the Balkans encompassing Southern Bulgaria, Northern Greece and Western Turkey. Historically it brings us into contact with the Thracians, ancient Greece and the Roman empire as well as early Christianity in Europe as we follow the first footsteps of St Paul in Europe. Thrace is the ancient Roman region located south of the Haemus mons, today known as the Central Balkan mountain. It stretches southwards towards the Aegean coast (Northern Greece, Thessaloniki and Kavala) and eastwards towards the Black sea and the Bosphorus to include Edirne and Istanbul (ancient Constantinople). Thrace is centered around the magical mountain range of the Rhodope, the home of Orpheus and an important centre for the cult Dionysus. The Classical Tour of Thrace is also an exploration of the ancient trade routes the Via Diagonalis and Via Egnatia that linked East to West, Asia to Europe, Constantinople to Rome and Western Europe. These routes were the conduit for new tastes such as spices and luxury items from the East as well as new ideas about spirituality such as Christianity and Islam. Commercial hubs such as Constantinople, Edirne, Plovdiv, Thessaloniki, Philippi and Sofia played a key role along this route to secure the transfer of goods and ideas. During the tour of Thrace we will visit and discover the history of each one of these centres. The Classical Tour of Thrace is a summary of Europe’s historical relationship with the East. Our beliefs, tastes and way of life today have been shaped by this region and its trade routes. 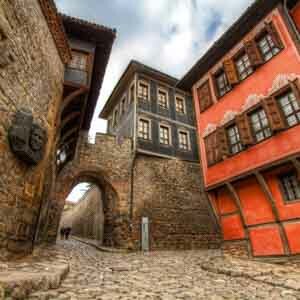 In this unique tour we learn about the history of the Balkans, a salade de macédoine, the hotchpotch of cultures, languages and religions that existed up to the XXth century. And we learn as much about our own history by looking at it from an Eastern glance. 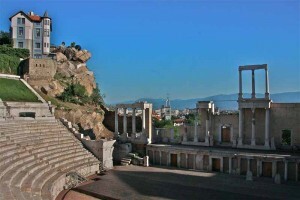 We also organise a bespoke Archaeological Tour of Bulgaria. 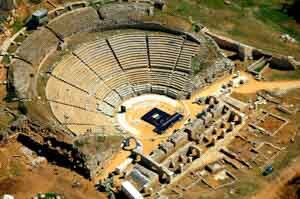 The Classical Tour of Thrace can be adapted to your personal preferences, time and budget. Location: Bulgaria: Plovdiv and the Rhodope; Greece: Thessaloniki, Vergina, Pela, Dion, Kavala, Philippi; Turkey: Edirne and Istanbul. We will be glad to listen to your personal preferences and adapt the itinerary to create a bespoke Classical Tour of Thrace to meet all your requirements. There are many options to tailor the Classical Tour of Thrace to your personal preferences.